Austin Quan Yin (Austin) - Book Appointment Online! 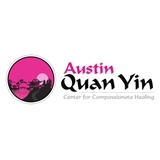 Austin Quan Yin Center is an alternative health care center offering a full range of healing modalities from acupuncture and Chinese herbs to nutritional medicine and massage. We offer the best of ancient wisdom combined with modern knowledge, dedicated to bringing an individual back into balance by restoring the body, mind and spirit. She truly makes you feel like you can take your life back. Shes awesome! !